The McLaren MP4-12C has been designed and developed by a world-class team of engineers and test drivers to set new standards in performance for the road. 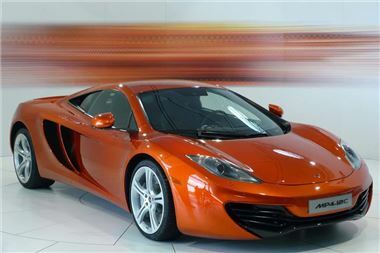 The MP4-12C features a 3.8-litre V8 twin turbo engine that produces 592hp and 600Nm torque. Demonstrating McLaren's motorsport DNA, the 12C's unique carbon fibre 'MonoCell' chassis weighs just over 165 lbs. The McLaren Airbrake and McLaren Brake Steer support 12C dynamics and bespoke ProActive Chassis Control suspension and SSG transmission deliver ultimate track times and supreme comfort on the road.